When I started this series of posts, Books that make me want to travel..., I thought of faraway places - India, Italy, NYC, Japan. All the places that I *really* want to travel to. And it never really occurred to me, until now, to also think of the places a bit closer to home that I'm inspired to visit. Because the UK is filled with really wonderful places full of history or interest and there are awesome authors out there who write about such places. Here is a very small list of books that I've read recently which has made me curious to visit a place within the UK. 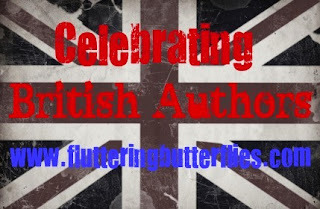 Please, please, please do leave in comments any books that you've read and lved which made you yearn for the UK! 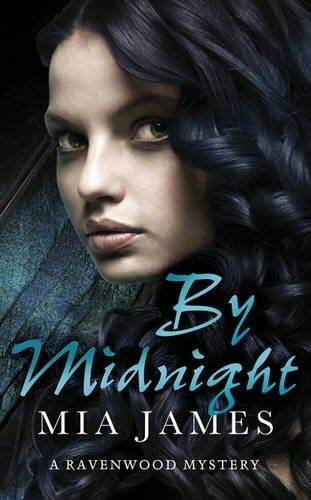 By Midnight and Darkness Falls by Mia James - There's something really creepy and eerie about the Ravenwood series by Mia James. I always thought it was the private school, Ravenwood Academy that really did it, and that helps. As do the erm... vampires in the story. But no. What really drew me into this series of books is the inclusion of Highgate Cemetery. Something about this really old and spooky sounding (and looking!) 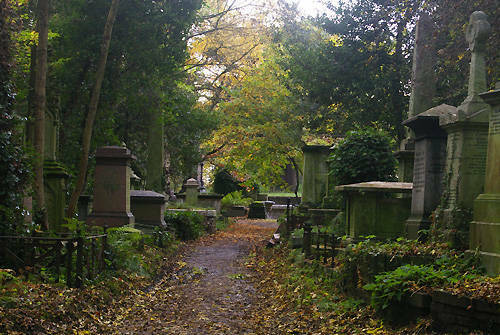 cemetery is the perfect place for me to imagine these characters and this story. It's in North London, and I really want to make my way over there at some point! 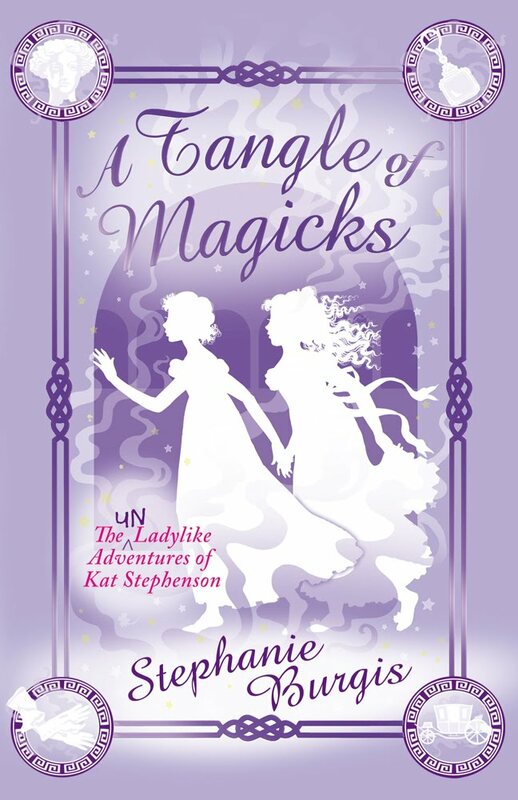 A Tangle of Magicks by Stephanie Burgis - OK, I really, really love this series by Stephanie Burgis! Kat Stephenson is one of my all-time favourite female characters in a book. I think she's fantastic. And what's wonderful about this second book in the series is that all the action takes place in Bath. 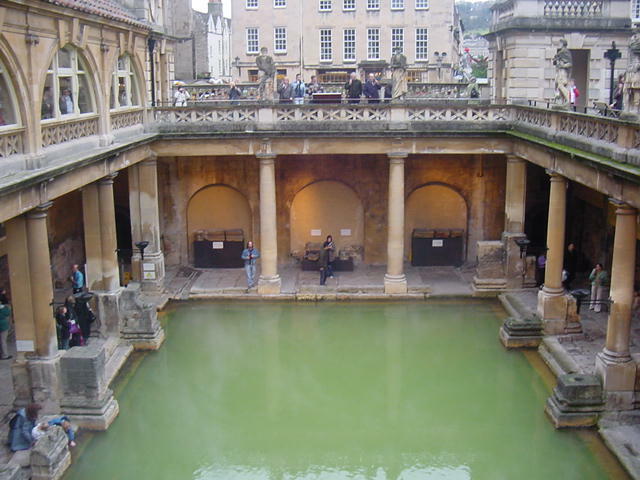 Specifically around the Roman Baths and the Pump Room next to it. Now I've been to Bath several times - the first, was sort of an impulsive stop there during a free afternoon and the second was on a weeklong uni course. And both times, I didn't quite make it to the Roman Baths or the Pump Room. It's a busy attraction. But seriously, after reading A Tangle of Magicks, I'm pretty desperate to visit and stand near these healing waters and imagine what Kat looked like as she was battling dark magic. 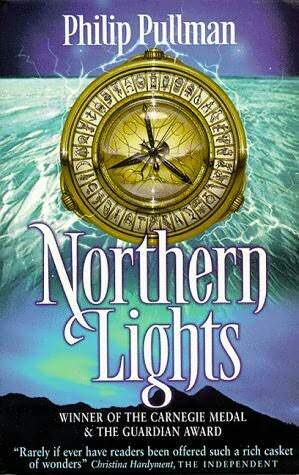 Northern Lights by Philip Pullman - I love the His Dark Materials series by Philip Pullman, I really do. And I think Northern Lights is my favourite book in the series. There's just something so likeable and feisty about Lyra. While I did like Sam in The Subtle Knife but I did get slightly confused during the third book, I liked that Northern Lights is Lyra's story. Lyra and Pantalaimon, of course. Pantalaimon being one of my all-time favourite characters in any book. Loved him. 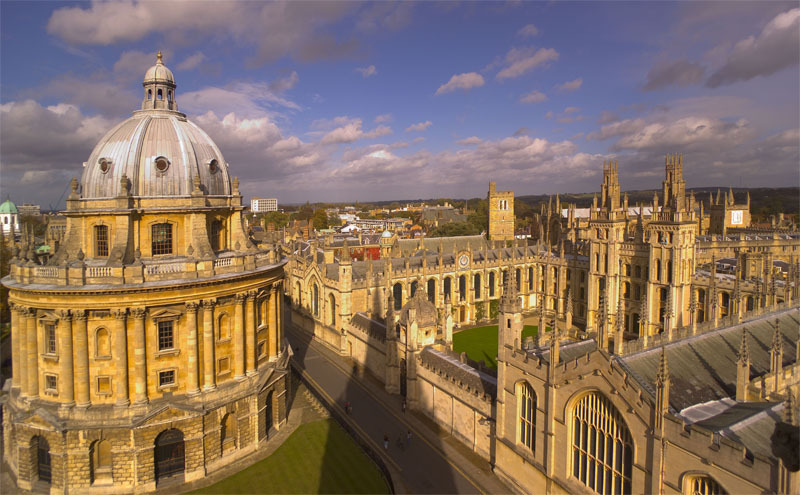 And I can just picture Lyra running around the streets of Oxford, roaming through the university buildings, up to mischief and getting grubby. And the image of that in my head just makes me happy. Please do tell me which books inspire YOU to visit places within the United Kingdom! This is a wonderful post - thank you! A Tangle of Magicks definitely made me want to visit Bath again. I love the Lancashire setting of Keris Stainton's first book and the Cardiff setting of Hayley Long's books. 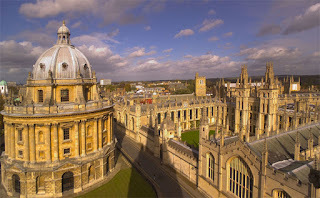 I would love to visit Bath! Harry Potter made me want to hunt down Hogwarts. Luisa - You wouldn't want to visit a haunted house or a dystopian world?! I've been thinking about it lately, and I don't really want to visit a place in a book unless it's someplace really special. I don't think I notice setting unless it's pointed out to me. 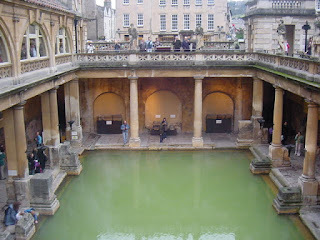 I have been to the Pump Rooms and the Roman Baths, I highly recommend them. I think I'm going to enjoy A Tangle Of Magicks even more now I know about the setting.